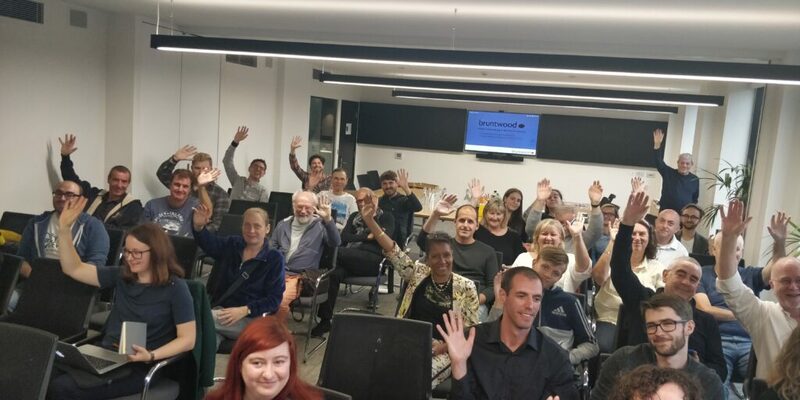 This week the Leeds WordPress meetup we help to organise turned 10 years old. So, we thought this would be a great opportunity to explain what a WordPress meetup is and why we’re involved in it. There are hundreds of WordPress meetups around the world (at the time of writing, 639 in 94 different countries!). That list is just the meetups which are part of the official WordPress “chapter” program, there are many others which are organised informally or predate the program. The meetups vary in format, there are often speakers, but “clinics” are popular (a chance to ask a specific question about a problem you are having with WordPress) as are round table discussions. The topics discussed and spoken about vary – from technical talks about specific areas of development, blogging, SEO, marketing or business. Attendees at meetups vary as much as the content – there are developers (from those just starting out through to experienced WordPress engineers), bloggers, marketers, students. People come along who use WordPress professionally or for their hobbies and interests. WordPress Leeds was the first WordPress meetup in the UK, followed a few days later by our friends at WordPress London. We meet once a month on the 4th Tuesday of the month. It’s free to attend, and thanks to our wonderful sponsors we’re able to provide pizza and drinks. We usually have two speakers, but also run clinics and round table events. We also run occasional beginners groups alongside the main event. Delicious Media’s involvement in organising WordPress Leeds started four years ago when Steph and I were asked to help out by Tim – the group’s founder and at the time only organiser. We’re part of a team of five organisers, together we plan and run the events. So, what’s in for us? We learn a huge amount. Not just from our brilliant speakers, but from listening to our attendees and challenges they have faced (and overcome!) with WordPress. We meet useful people. We’ve met loads of interesting people through WordPress Leeds, including clients and people we’ve worked on collaborative projects with. We get to share our knowledge. As an agency, we love sharing our experiences. We get to give back to the WordPress Community. Over the years, I’ve worked with a variety of products and technologies – many of them have brilliant, thriving communities around them… but I can’t think of one which is as open, welcoming and knowledgable. As a business and personally, we’ve gained so much from being a part of it and it’s great that we are in a position to give back. If you are local to Leeds and have an interest in WordPress – we’d love to see you there. If you are further afield, there’s probably a WordPress meetup near you.